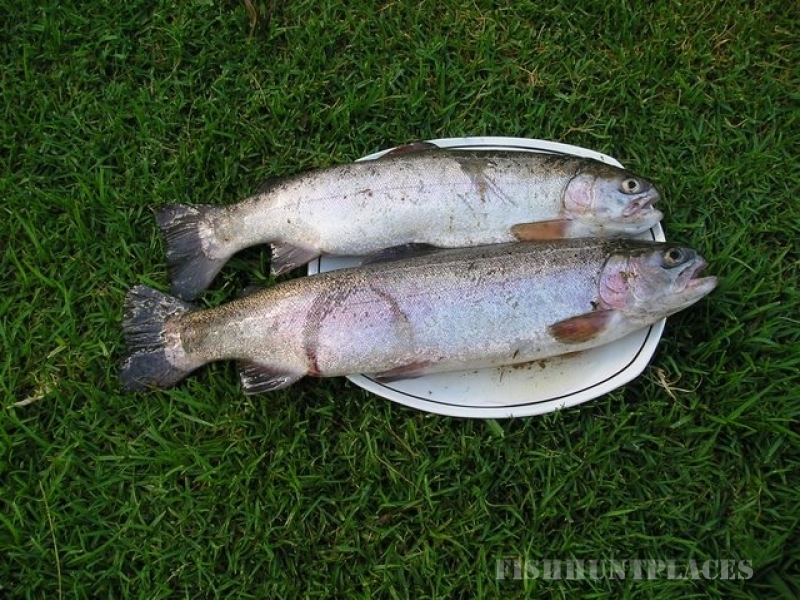 Accommodation and Fly Fishing Stanford, Overberg. 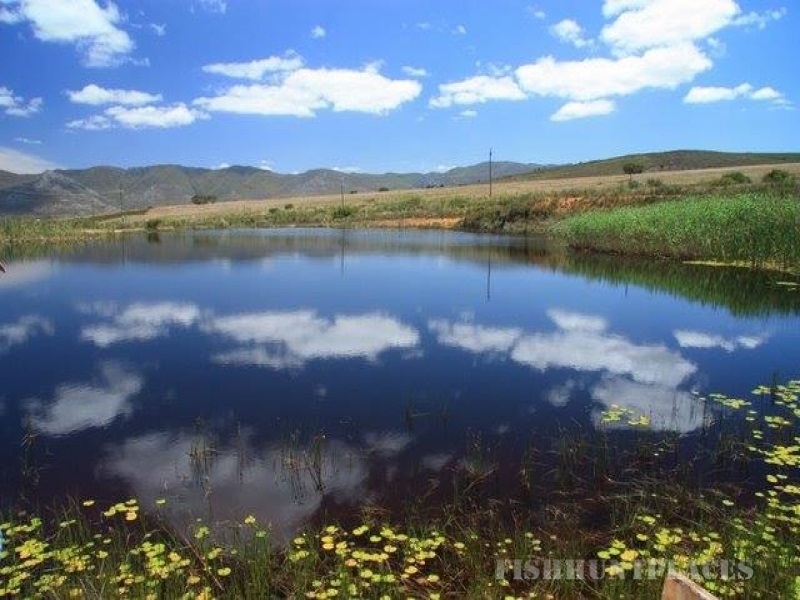 Situated close to the picturesque town of Stanford lies a little bit of trout fishing paradise in a mountain and farmland setting. Awesome views of the Kleinriver mountains. Working farm with vineyards and goats. 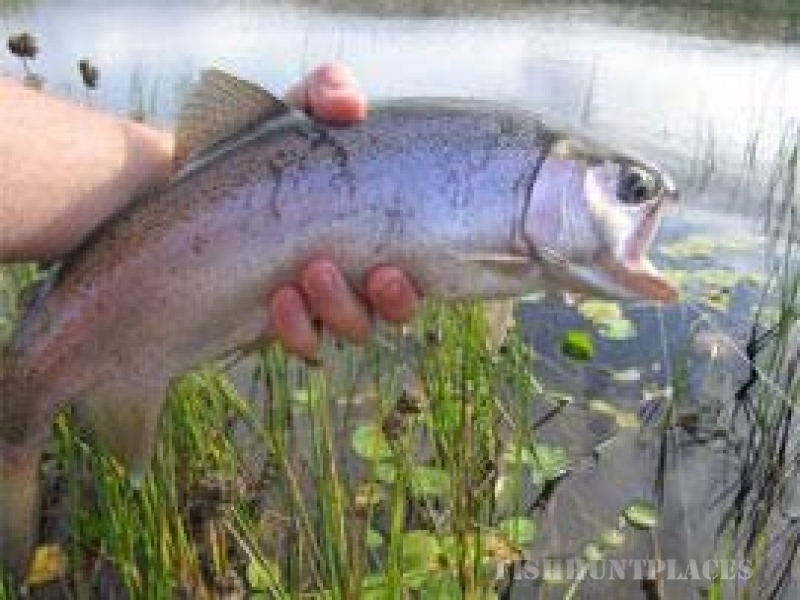 Experience excellent fly fishing for rainbow trout, brown trout and bass in two spring fed lakes. 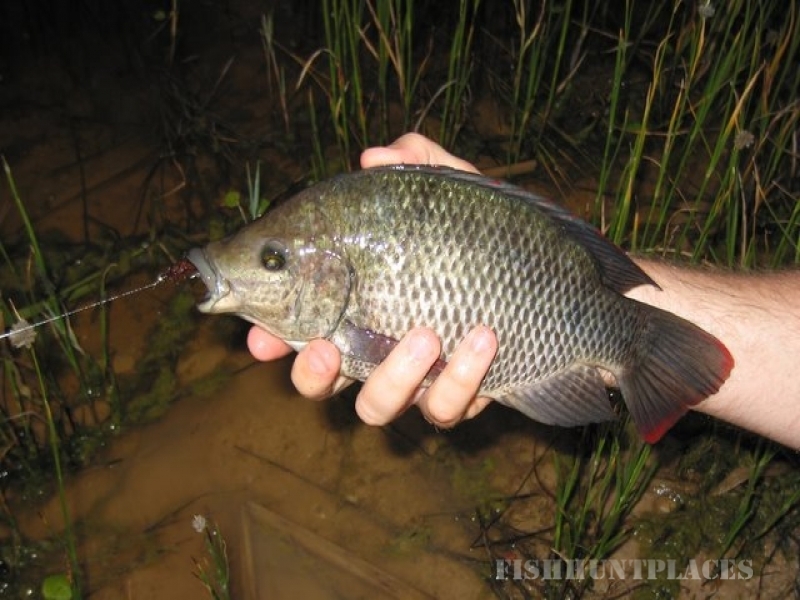 Kids can fish for bluegill and tilapia. There are two cozy self catering cottages within a stones throw of the lakes. 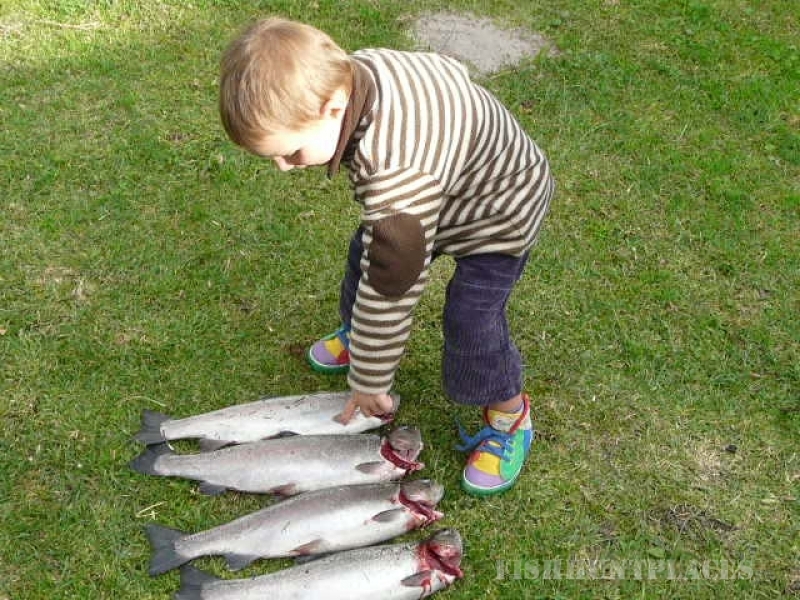 Other activities include wine tasting, bird watching and mountain biking. 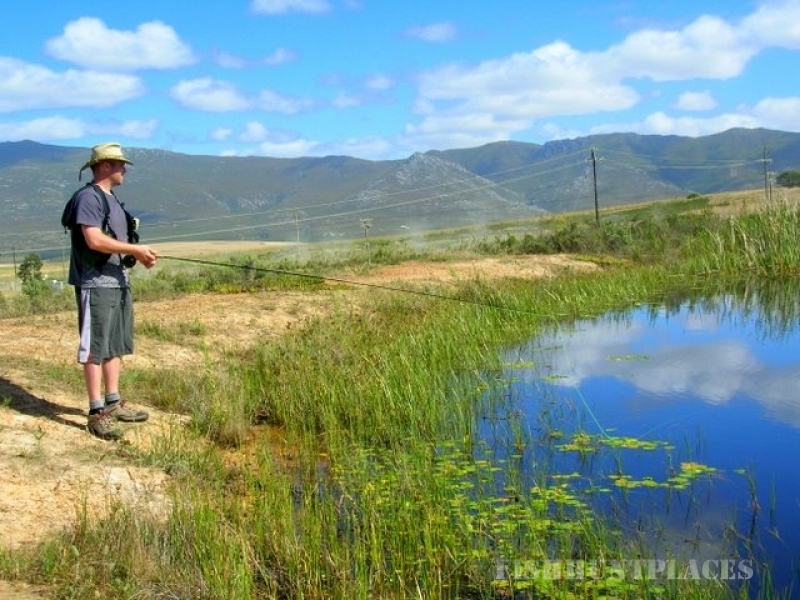 Other activities in the surrounding areas include whale watching, share cage diving and shark tours in Gansbaai, historical towns such as Stanford and Hermanus and a 4x4 route 10 minutes away.